Japan’s Narita Airport outside of its capital, Tokyo, is considered the country’s largest airport, though Osaka’s Kansai Airport and Tokyo’s other airport, Haneda, are also quite big. Travel in Japan is quite expensive, usually between $50-60 per day even for travelers on a budget. Temperatures in Japan tend to stay between 5 and 25ºC (40-80ºF), though the far northern portion of the country can get chillier. Art, paper fans, and any rendition of the famous maneki neko cat are classic Japanese souvenirs. The island nation of Japan consists of 6,852 islands scattered off the eastern coast of Asia. However, the vast majority of these islands are minuscule, and many are even uninhabited. The four largest islands, Hokkaido, Honshu, Kyushu, and Shikoku, make up roughly 97% of Japan’s total land area and hold the vast majority of the country’s 125 million citizens. Almost a fourth of Japan’s population lives in the megapolis of Tokyo, one of the world’s largest cities. 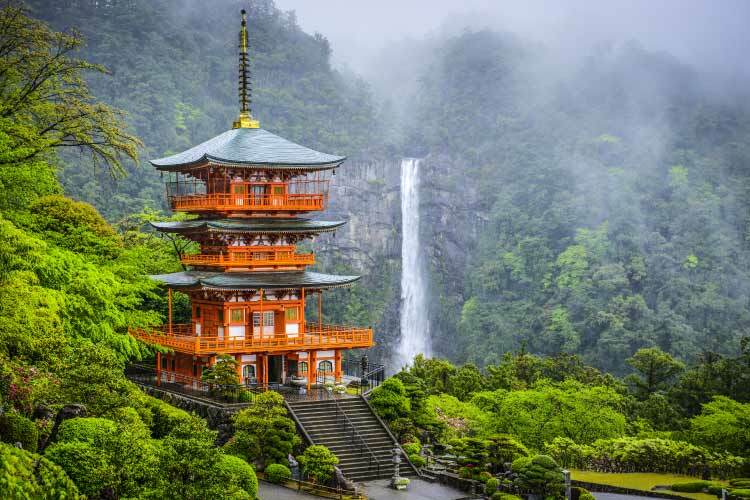 Though its natural landscapes are quite beautiful, the vast majority of travelers visiting Japan are interested in the country’s culture. Japan’s ancient heritage and modern culture are quite distinct. At the beginning of Japan’s history, a handful of different kingdoms held control over the islands. The Yamataikoku and Nara kingdoms were some of the more powerful early rulers of Japan; during this period, Buddhism began a prominent religion amongst Japan’s ruling classes. In the Middle Ages, Japan entered a period of feudalism. The ruling class, known as the samurai, exemplified much of what was important to Japanese culture. The samurai were leaders in warfare, art, politics, and religion. However, samurai were harsh with the public, which began to widely fear the ruling class. This allowed various feudal dynasties to trade control over the islands for several centuries. In 1603, Japan entered the Edo period, which was characterized by extreme isolation. For nearly two centuries, Japan engaged in almost no trade or contact with the outside world, despite the negative effects this had on the country. It would take pressure from the US Navy during the mid-1800’s for Japan to reopen its borders. However, Japan soon reintroduced the samurai system and instituted a strongly centralized government. This allowed Japan to capture a great deal of territory and industrialize rapidly during the early 20th century. During WWII, Japan launched surprise attacks on Malaysia, Singapore, Hong Kong, and the United States. This act ultimately prompted the US to drop two atomic bombs on Japan, the only time atomic weapons have been used in warfare. However, the country quickly recovered, and by the end of the 20th century Japan had adopted a democratic government and experienced remarkable economic growth. Today, it enjoys a reputation as one of the wealthiest and most powerful countries in the world. No traveler should pass through Japan without a stop in Tokyo. While the city is hardly representative of the nation as a whole, Tokyo’s massive size creates a bustling atmosphere unmatched by any other city. Chiyoda is the city’s central district and holds all of the country’s major political structures. Many of the city’s financial and economic institutions are also in this district. Shinjuku is a popular district among travelers, as it contains many of the city’s more famous shopping districts and the infamous nightlife district of Kabukicho. Tokyo’s old city is called Shitamachi, and it contains many of the city’s more popular historic sites. Sumida is a popular area for travelers looking to see some sumo wrestling. Yokohama is a prominent coastal city just thirty minutes from Tokyo. In fact, widespread construction has virtually connected these two cities. 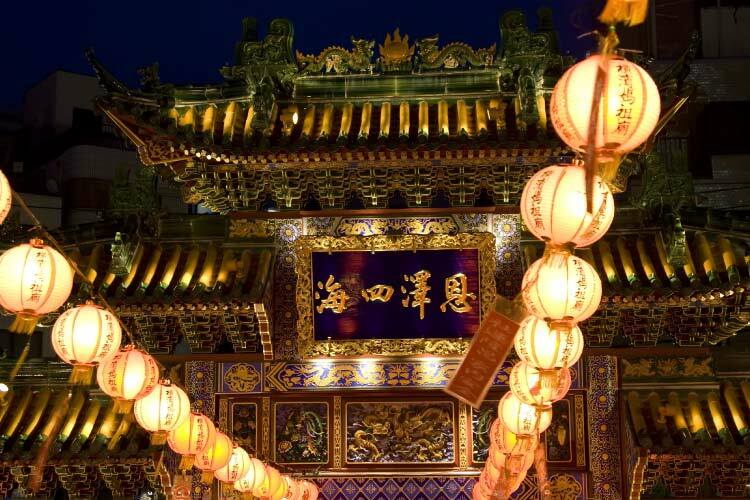 One of the most popular sites in Yokohama is Chinatown. This area is one of the largest Chinese neighbourhoods outside of China and is filled with charming shops, cafes, and a number of a street vendors. Unfortunately, Chinatown in Yokohama can be quite touristy. Yokohama is also known for its spas, which can be found throughout the city. In addition, the city holds a number of theme parks, notably the Hakkeijima Seaport. Many travelers are interested in seeing Japan’s native landscapes and unique wildlife, and there’s no better place to do that than Shiretoko National Park. The park is on the eastern half of the island, Hokkaido on the Shiretoko peninsula. 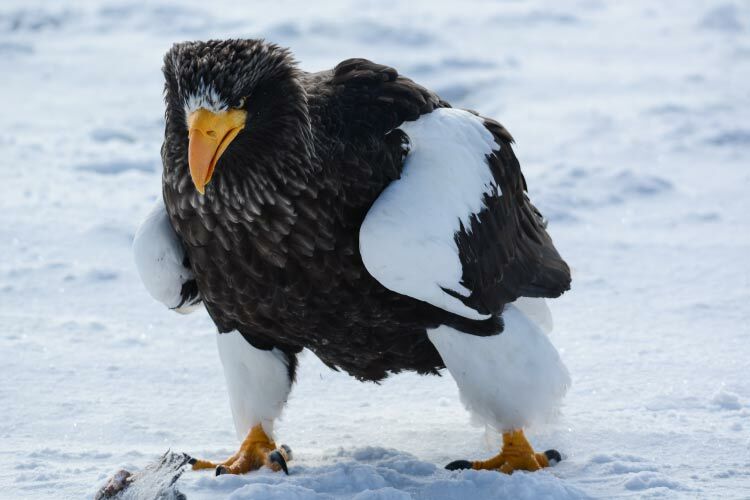 The park is known for its untouched wildlife, which includes bears, eagles and fox. Shiretoko National Park preserves one of the few untouched areas of Japan left, and for this reason it has been declared a UNESCO world heritage site. 1. After marveling at Sakurajima, the active volcano overlooking Kagoshima, check out the ruins of the Tsurumaru Castle, which was destroyed during the Satsuma Rebellion. Afterwards, relax and enjoy a meal at one of Kagoshima’s many high-quality sushi restaurants. 2. The Osaka Castle in Osaka is definitely worth a visit, but for a more authentic taste of the city’s history, head over to Sumiyoshi Shrine, one of the country’s oldest. Peace Osaka, a museum dedicated to Japan’s military history and devoted to promoting peaceful acts in the future, is also worth a visit. Then, head to Kaiyukan, one of the largest aquariums in the world. 3. 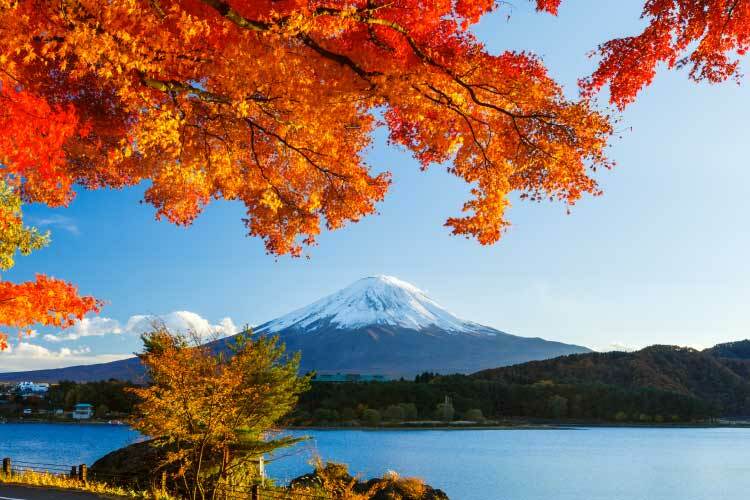 Mount Fuji is the tallest mountain in Japan and a popular tourist destination. After visiting the Murayama Sengen Jinja temple, tourists are cleared to climb the mountain. This is considered a spiritual act by traditional Japanese people. Conventionally, the climb is taken through the night, such that the sunrise can be viewed from the summit. The climb takes about 3 hours each way on the shortest route. 4. Yokohama’s fine restaurants are definitely worth a visit, as well as its bustling harbour. Spend some time exploring the bustling Chinatown neighbourhood, perhaps shopping at one of the many street carts. If you’re sports-oriented, Yokohama is one of the best places to catch a baseball game in all of Japan, and the crowds can get quite rowdy. 5. Splurge with a shopping spree in Tokyo. Afterwards, head to Chiyoda, which contains Japan’s parliament and government building. 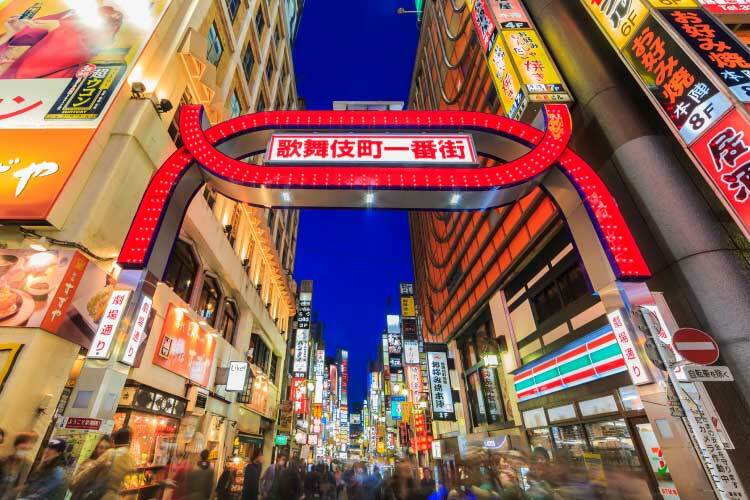 Then, head to Kabukicho to participate in the city’s infamous nightlife scene. Be sure to catch some sumo wrestling while you’re in the city. 6. 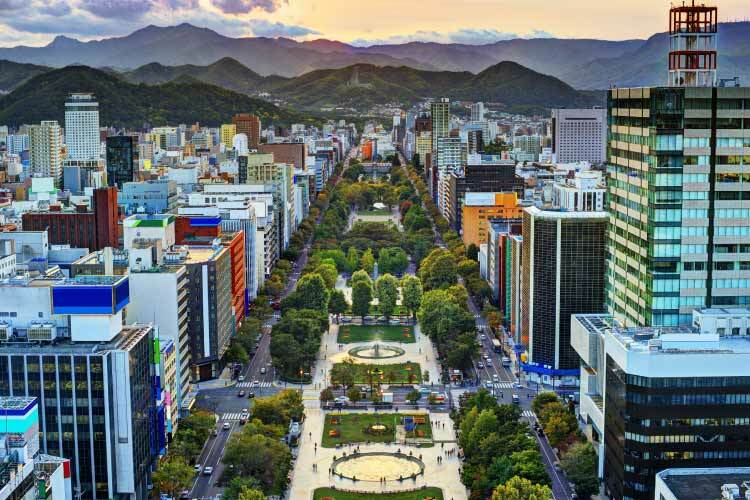 Explore the sight of the 1972 Olympic Games in Sapporo, which was the first time the Olympics were held in Asia. Then, tour Ishiya Chocolate Factory, a somewhat cheesy but delightful chocolate factory famous for making the popular “White Lovers” chocolate. Head to the city’s outskirts to see the Hokkaido Pioneer Village, a large historical town with numerous old buildings. 7. Shiretoko National Park is great for wildlife lovers, as it contains a greater variety of flora and fauna than almost anywhere else in Japan. If you’re up for it, many travelers enjoy trekking through the woods for several days to reach the northern tip of the park, which is inaccessible by any other method.